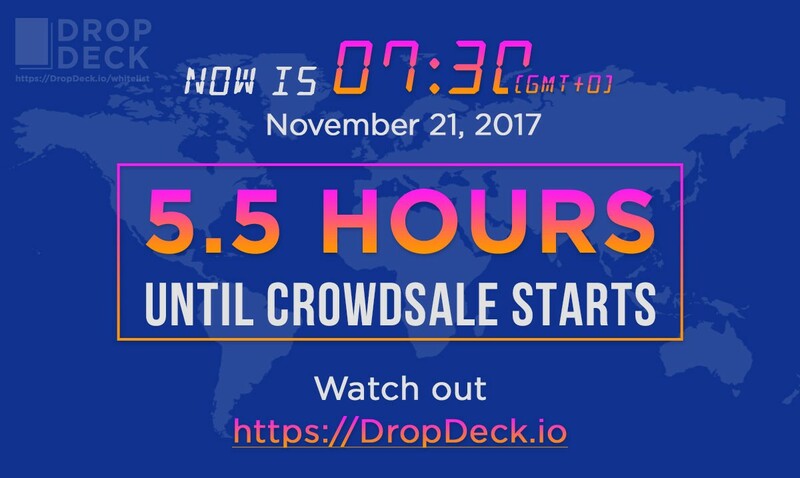 DropDeck.io is airdropping 300,000 DDD tokens every day starting from November 23, 2017 until the conclusion of our Crowdsale! In this official Telegram channel, some time between 15:00 and 03:00 (GMT+0), each day we will pin a newly created telegram channel link. The first 100 people to go there and link their MyEtherWallet address will claim 3,000 DDD tokens! That is an equivalent of US$60 per winner! 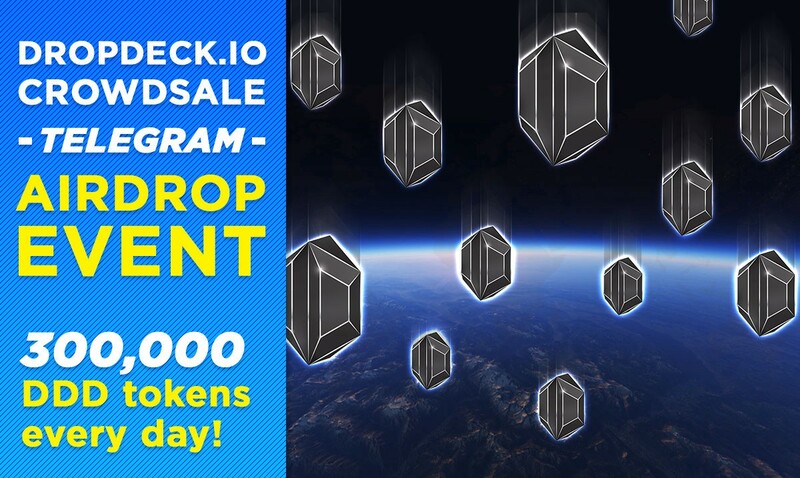 Winners will receive their tokens after the Crowdsale ends. Can you win more than once? Sure! You can win every day if you’re lucky enough to be in the top 100. So keep one eye on our Telegram channel and start winning today! As the days go by we will be increasing the number of winners and the amount of tokens per winner. These increases maybe small or large. You will have to join us and see! Note 1: It is important that you use your MyEtherWallet. Do not link an exchange wallet or any wallet that you do not control the private key for, or any wallet that doesn’t support ERC20 tokens. We will not support any type of address swaps. Note 2: Each user is limited to only one wallet address and allowed to link your address only ONCE in each Telegram event channel that we create. If you link it multiple times on the same channel you may be disqualified. Lastly, we reserve the right to withhold prize payouts if we suspect or have proof of anyone who has attempted to cheat during this contest. Let’s keep it clean and have a fun time!